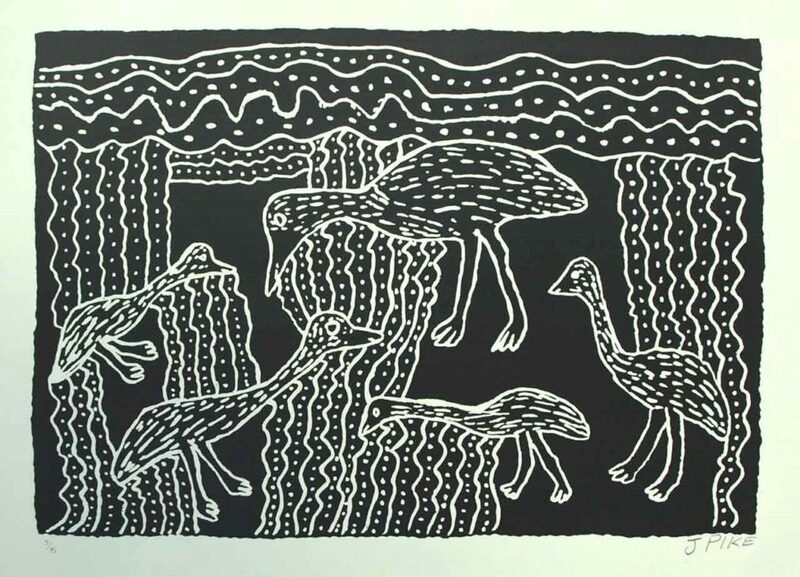 Birds feature in many Aboriginal artworks and sculptures. They represent birds from all parts of Australia, from the desert, from rivers and coastline and from urban areas. 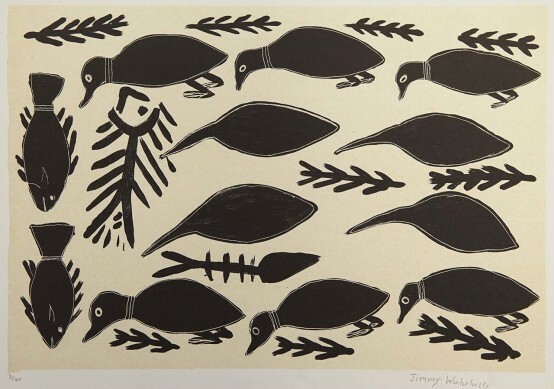 Birds feature in many Aboriginal artworks and sculptures. They represent birds from all parts of Australia, from the desert, from rivers and coastline and from urban areas. Unlike many other animals, birds are not generally part of the bush food resource sought by Aboriginal people. There are exceptions like magpie geese, bush turkey and emu which are highly prized for their meat. Eggs are valued and are collected from nests of larger birds. In the inland regions parrots and cockatoos, budgerigars, hawks, eagles and kingfishers are all found in large numbers. Many of these birds are part of the Dreamtime Creation stories of the region and become part of the totemic system that links certain animal species to Indigenous people. In the Tiwi Islands north of Darwin bird carvings are part of the ceremonial life on the islands. Birds are viewed as messengers or bringers of knowledge from the spirit world to the human world. These bird carvings include owls, sea hawks, pelicans, brolgas, cranes and many other forms of waterbirds. The carvings were often part of Pukumani ceremonial poles which were used on the Islands as part of funeral rituals to honour the dead. In the Kimberley region the owl is seen as part of the totemic spirits that created the people and the lands. 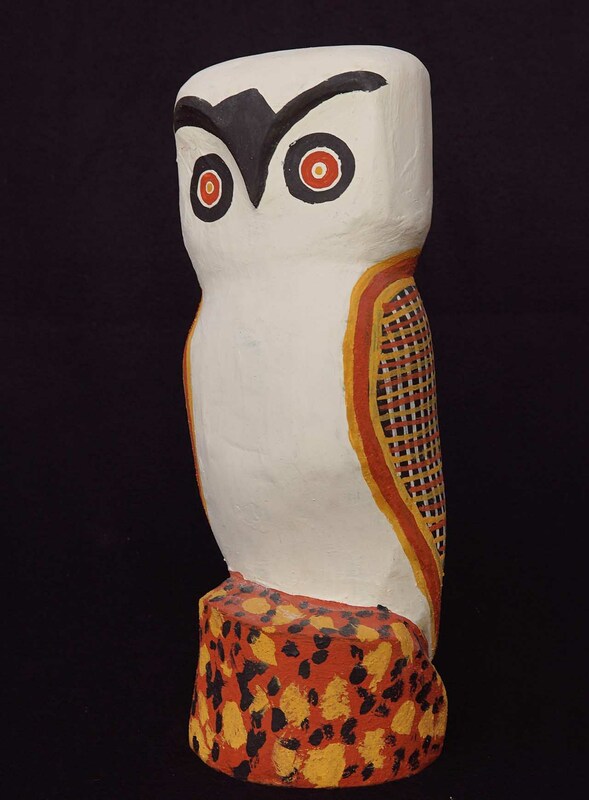 The owl appears in connection with Wandjina spirits that rejuvenate the country each year with the seasonal monsoons. 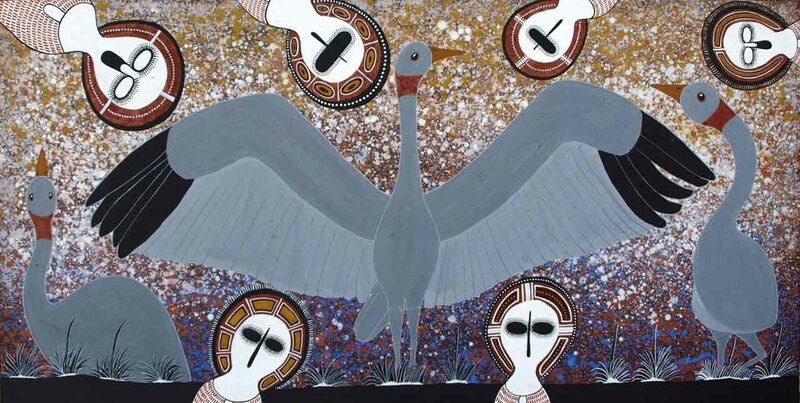 On Cape York artists depict birds as the spirits of their people being freed from the earth. Urban Aboriginal artists have shown birdlife including magpies and kookaburras. Birds remain part of the Aboriginal worldview for both their physical and spiritual associations.